There is nothing quite like knowing you are going to miss a transport connection to spark a sense of panic. That was certainly the emotion that overwhelmed me while I was stuck in a convoy of vehicles 20 years ago while on an aquaculture research visit to Norway. Unsurprising in someone used to relying on Scotland’s ferries. But the panic quickly subsided when I realised the Norwegians had four vessels shuttling 18 hours a day every half an hour on a one-hour crossing. The longest I have ever waited for a ferry there was two hours. Islanders can only look over the water with envy as 2019 shapes up to be another summer of discontent for the customers of CalMac Ferries. The disastrous 2018 season saw the ageing fleet of vessels struggle to meet demand, fuelled by fare reductions through RET (Road Equivalent Tariff), a delayed winter refit schedule, adverse weather, technical failures, vessel redeployments and a management team that didn’t have a plan. This utter chaos in the ferry service is caused by underfunding, mismanagement and a Government failure to understand Island needs. 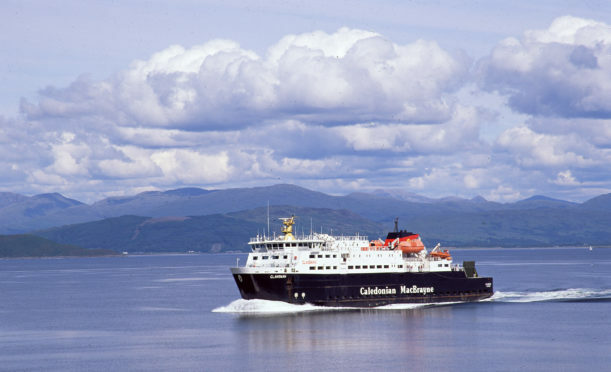 One example is the Mallaig-Armadale route which I use regularly, CalMac’s fifth busiest summer service which carried more than 285,000 passengers and 70,000 cars in 2017. The abrupt removal of the ‘MV Coruisk’ in 2016, without consultation, resulted in the deployment of vessels not fit for purpose and a tidal timetable now entering its fourth summer season. Recently published figures from the Sleat Transport Forum showed that 276 services were pre-cancelled in summer 2018 due to tidal restrictions for a total of 72 days out of 208 sailing days. Add to that the 381 cancelled sailings for the summer caused by vessel redeployments and adverse weather led to even Transport Scotland’s officials describing the service as ‘sub-optimal’. This is not an attack on the friendly staff at the ports and on the ferries. This long running chaos, which would be totally unacceptable to central belt commuters were it to last a few days, is the fault of the CalMac Board, CMal and the Scottish Government. To the layman it would be seem absurd that as publicly owned companies, CalMac operates the services and vessel procurement and ownership rests with Caledonian Maritime Assets Ltd (CMAL) which also owns 26 ports. Civil servants in 2001-2006 persuaded the Labour Transport Minister that continuing the subsidy to CalMac breached EU state aids. My friend Charlie King from Mallaig, then chair of the H&I transport partnership, went to Brussels with the other council transport chairs in 2004 to lobby the EU about the tender being for all services, not split into the separate areas of the Western Isles, Argyll and Clyde. Despite this clear mandate, the Scottish Government pressed ahead with the structural changes, wasting time and millions in tendering in 2006 and again in 2016. The CalMac Board has neither a chair nor a member who is dependent on CalMac ferries for their business or family life. Nor does the CMal Board. The executives are based in Gourock with only a small minority of staff living and working on the Islands. There has been a significant departure of experienced officials from the company including captains who would have become marine superintendents with the subsequent recruitment of managers from outwith the industry with little knowledge of ferry operations. The announcement that CalMac was named the “Ferry Operator of the Year” by the National Transport Awards was greeted with derision by Islanders. Over a decade of underfunding by the Scottish Government leaves half the ferries over 20 years old, with maintenance costs rising by over 150% in the past decade to £20 million annually. This ageing fleet has required 125 significant repairs in the last two years. Revenues would be improved if the RET is removed from camper vans, which have reached plague proportions in the H&I with minimal economic benefit. Priority booking is needed for locals. Capital funding has been half of the £50million minimum required annually. Despite that, the proposed capital funding is to be cut from £59million in 18/19 to £14million in 19/20. CalMac said that “they were comfortable with that budget”. Part of the problem lies with the design changes and escalating costs for the two dual fuel vessels, now long delayed, being built at Ferguson Marine. If £1.35 billion can be found for a new Forth Road Bridge, capital must be made available for a long-term strategy, with six new larger vessels, four smaller vessels and dedicated freight vessels, allowing maximum flexibility across the network. Most importantly, Scotland needs to start taking transport to our Islands seriously, as they do in Norway. The Cabinet Secretary, Transport Minister, Civil Service, CalMac and CMal Boards should all be sent to Norway to learn how to keep a population living in the more remote islands by providing a modern ferry service for the residents, as well as the increasing number of young people who want to live in the Islands. It is time for action not words.